Help us win a community grant of $100,000 from the USA Today Network! USA Today is looking for ideas that will benefit the community. 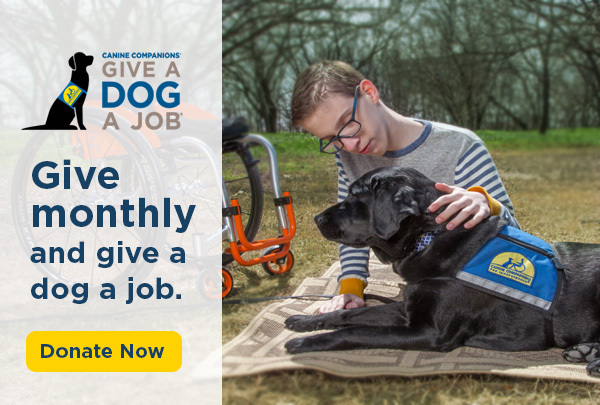 Please visit cci.org/USAToday to vote for our video submission, "A Service Dog is More Than a Vest," once a day now through May 12. Voting ends on Friday, May 12 at 11:59am EST. 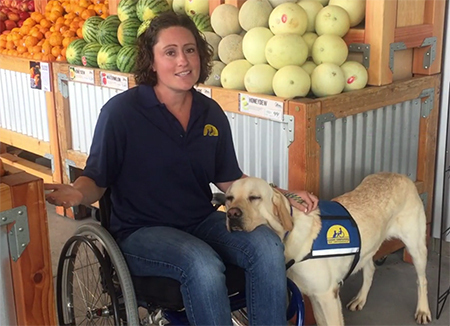 The idea submitted was to create a toolkit to educate businesses about issues surrounding fraudulent service dogs, including how a legitimate service dog should act in public, the rights of assistance dog users and the rights of businesses. We hope to be able to share this information with businesses across the country. Not only would this toolkit help mitigate the fraudulent service dog problem, it will also offer us a great opportunity to engage with businesses around the country. With your help, we can make our idea a reality.